Victory has partnered with InFaith Community Foundation to create The Victory Fund. The Victory Fund is the church's financial endowment (It's our community development foundation and planning giving department). So what is that? A financial endowment is a donation of money, property, stocks, etc to a non-profit organization (a church) for the ongoing support of (Victory's) ministry. Think of it like a 401k for the church, so when you make it to heaven before us your giving and ministry continues. • Donor advised funds, collaborative funds and organizational endowments. • Give leaving cash, stock, real estate, life insurance, charitable gift annuities and charitable remainder trusts. • Flexibility to give to any of Victory's ministry's and make changes if you wish. • Maximum tax benefits based on when and how you give. • Donor-centered and online services. • Rita Fields, CFO/Treasurer , (757) 868-9979 x 13. We choose InFaith Community Foundation because it is a national charity with a mission to serve donors, spread joy and change lives. Through the Foundation, gifts are tailored to your charitable interests and financial circumstances. InFaith Community Foundation is a proven steward of these gifts, earning Charity Navigator’s top rating for sound fiscal management. Together with donors, the Foundation grants more than $10 million annually to charities serving local, national and global communities. 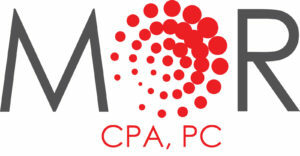 Victory Church proudly partners with MOR Consulting Services, LLC for its business, accounting and auditing monthly and annual accountancy services. Copyright 2018 Victory Church. All rights reserved.